Here is the list of points important to follow while blogging. Would be good to define the Goal of the blog and Target audience for this topic. The focus keyword to appear in the first paragraph of the copy. Make sure the topic is clear immediately as that would keep the person engaged and continuing to read (bounce rate less). That is what my experience is, if the author is not clear in the first paragraph, he cannot be clear later too. Make sure that the page title contains the focus keyword, which is considered to improve rankings. The keyword density also needed to be taken care of. Maximum no of times they are we are a hit. Now the meta description, in the specified meta description, consider: How does it compare to the competition? Could it be made more appealing? This makes the reader decide whether to read the blog or not. So the most attractive and descriptive one would work. 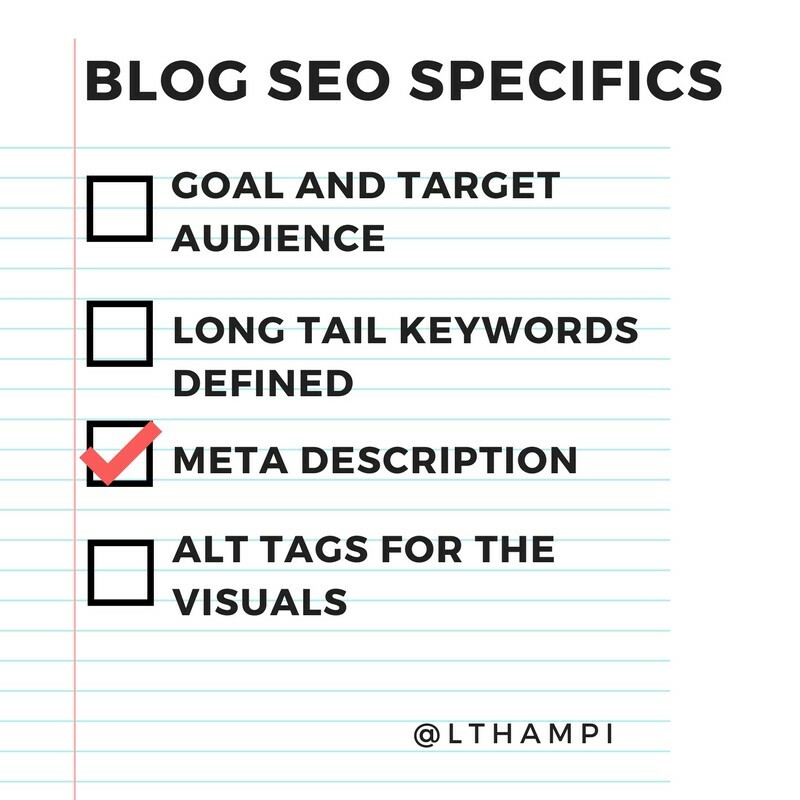 The meta description(130–160 characters) contains the focus keywords. The images included containing alt tags with the focus keyword(s). The page title is between the 35 character minimum and the recommended 65 character maximum. Author details are available with a short profile, social connections like twitter handle, FB link or email which the author can share and on which he/she is responsive. If the author has a personal blog, please add those details, we would be happy to promote. Would be nice to specify if there is a related blog in the repository or if we are coming up with a follow-up blog for the same ( this should create an anticipation and should increase the engagement). 1.Has the material met the Goals specified? 2. is it the right time for the audience specified to consume this content.? 4. If there is a suggestion to add, please give the pointers to it and let the author add those lines and re-review with you. 6. Is the SEO parameters met from the authors’ list? 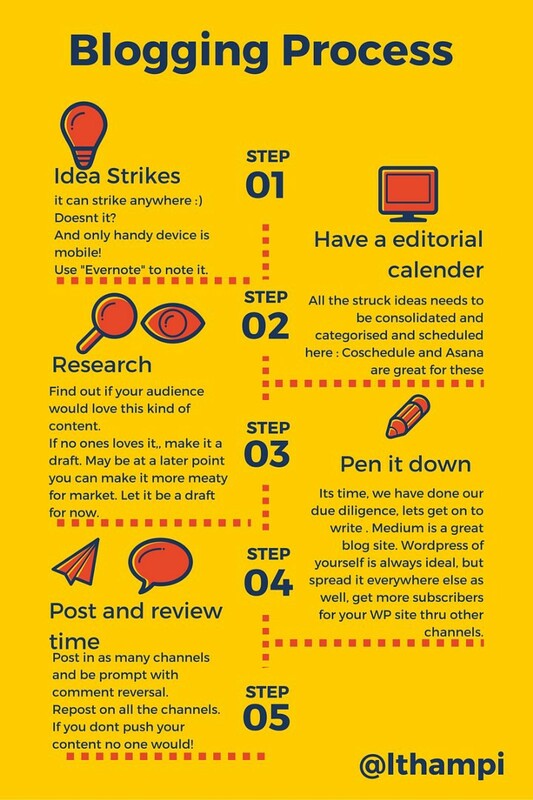 Compiled by Lakshmi Thampi looking into what WordPress does best and what we wants to do the best when #Blogging. If you like it recommend please press on the green heart below and suggestions are always welcome.